Currently Russian Church's first priority is creating ‘homes for moms,’ who refuse to perform an abortion (sometimes after the actions and rally’s of believers against abortion). These houses are built with the help of both the government and the state. Before the Revolution of 1917, many bemoaned the fact the Russian Orthodox Church did not perform enough social ministry. Today, that is very swiftly changing. A few years ago, the head of the Russian Church, Patriarch Kirill, appealed to the public that the Church must become an active agent social ministry. Just a few years later, church organizations form an important, and possibly the most active, resource of volunteer groups for social work in the entire country. 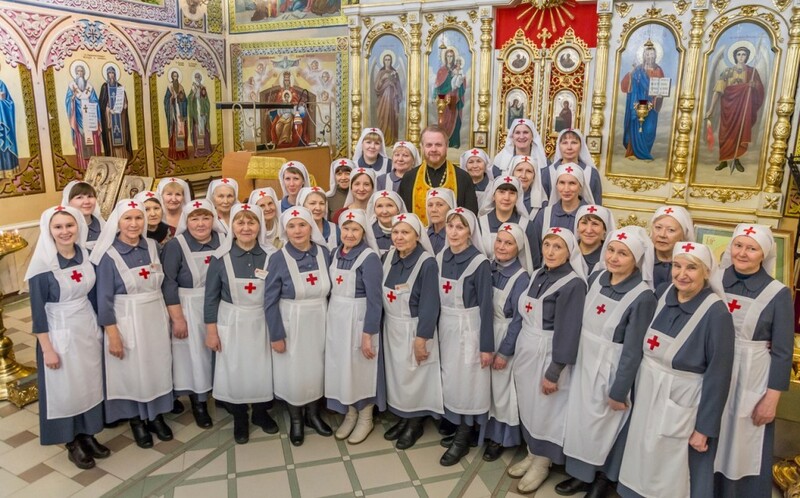 Since the term ‘social work’ is not inherent to Russian Christianity, the head of the Russian church always translates it into ‘ doing good deeds,’ which is a clearer and simpler term, one that Russian believers can easily relate directly to Christ's teachings. Social work has already become the norm for many parishes. Some churches regularly organize events and trips for children with disabilities or serve free lunches for the poor. This activism not only brings good to the world but also helps consolidate the believers in mutual service. 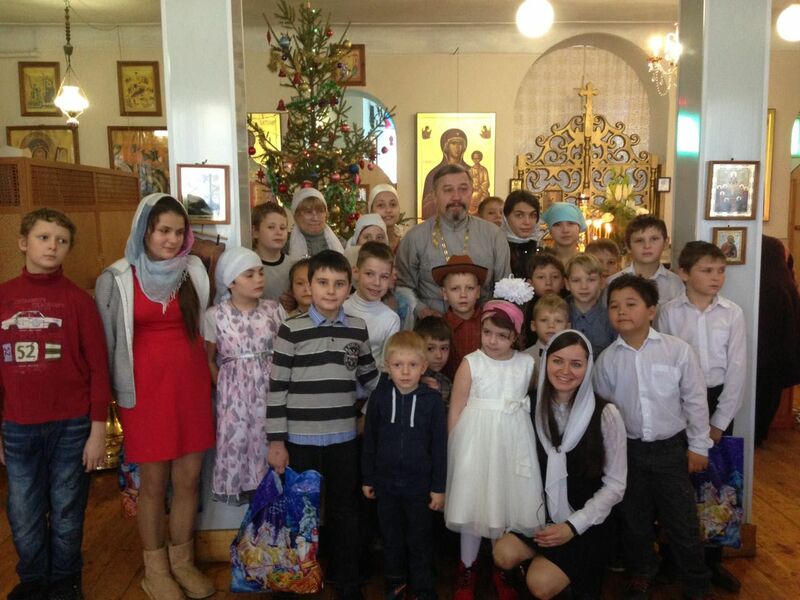 According to the Patriarch, the quick growth of Russian Orthodox social work. and the building of large-scale programs can only be credited to the numerous volunteers that keep pouring in to churches. 1. The first priority is creating ‘homes for moms,’ who refuse to perform an abortion (sometimes after the actions and rally’s of believers against abortion). These houses are built with the help of both the government and the state. Today, 110 humanitarian centers grant aid to mothers, who are unable to buy the bare minimum: food, strollers, clothes, medicine. 2. Another priority of the Russian Church’s social ministry today is assistance to the disabled and the homeless. Regardless of why the person was left without housing, our task is to help him, the Patriarch said. He has asked that all diocesan administrations in all major cities have their own "buses of mercy" and shelters for the homeless. All new churches are built to be wheelchair accessible, an important step in a country where accommodations for people with disabilities have finally begun to develop and integrated into the social structure. 3. Finally, the fight against alcoholism and drug addiction is also gaining momentum in church centers. Church shelters and rehabilitation centers, according to secular experts, are becoming more popular and more effective. The percentage of people who have successfully undergo rehabilitation in church institutions is higher than in other centers of the country. Therefore, one should cherish the results obtained and develop this ministry further, the patriarch believes, relying on state aid and support from medical specialists. All in all, the Patriarch made it clear that social ministry in Russia has become integral for the Russian church. "We are called to do all this for one simple reason: because we are Christians, and if we take the Word of God seriously, we must respond to this Word," the Patriarch summarized his report. He also said: “Do not fear the arising problems, do not put off working until a certain budget exists, but begin right away, as soon as the necessity and desire to do something for your neighbor arises."